I’ve been working on a series about branched interactions and tree symbols. 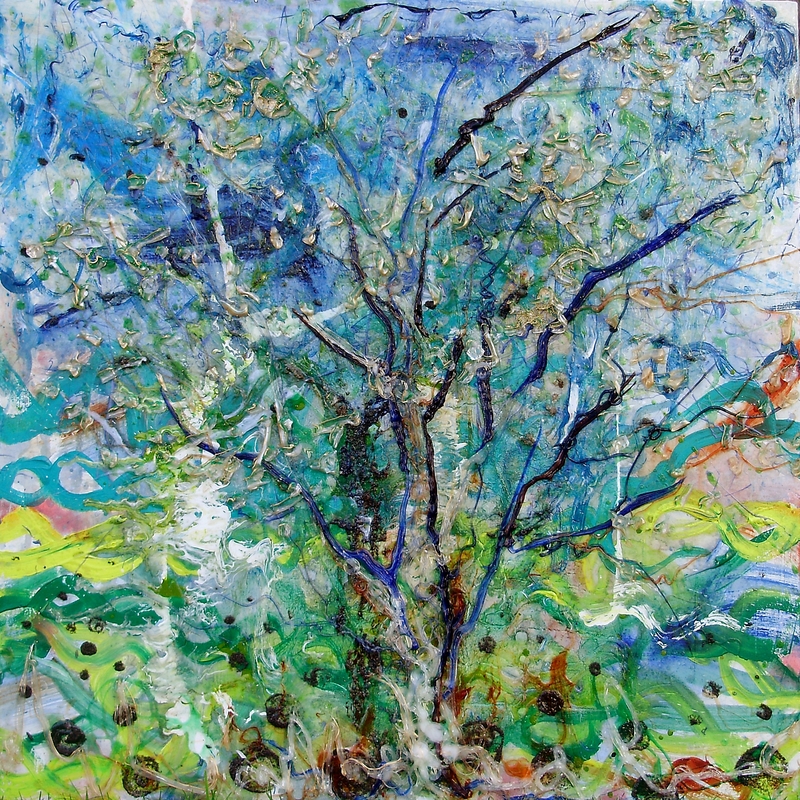 The working title for the series is “Tree of Life“. The title has a dual meaning. Life, the relatedness between organisms in an ecosystem, the shared heredity of life forms, communication all can be represented in terms of branched tree-like structures. At the same time, trees themselves do many things that help support life. They cool the earth, add oxygen to the air, retain the soil, manage and clean the water, and provide habitats. Many of our ecosystems are in danger; branches and twigs are being snipped off by human activity and natural catastrophes. The tree can both symbolize the state of life on earth and speak to the state of trees, as vital parts of life on the planet. 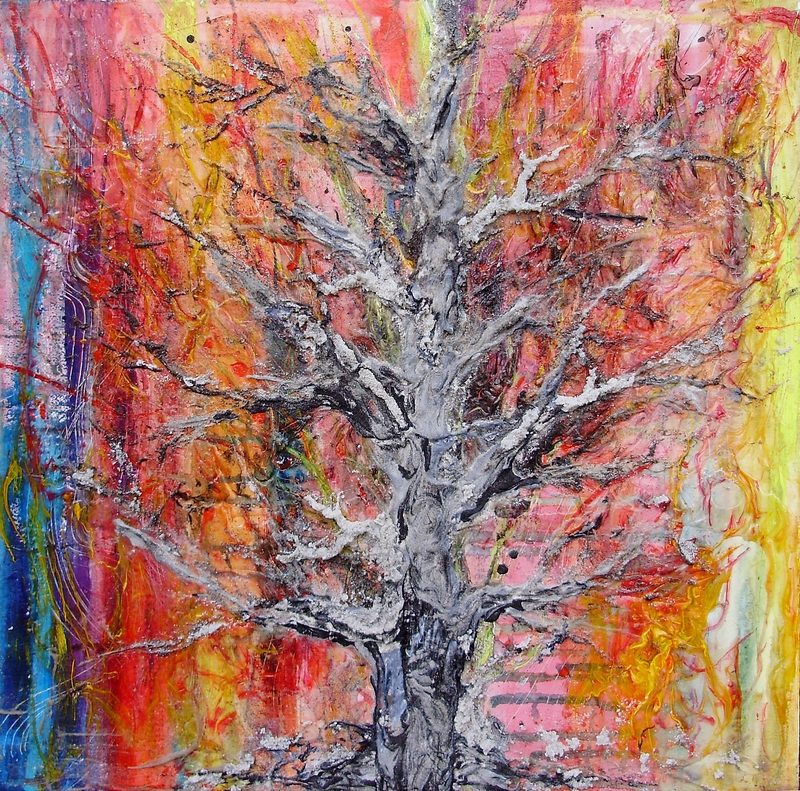 Two earlier finished paintings referred to the tree like structure of heredity and relatedness (Tree of life 1), and to the status of old growth trees in forests (Tree of Life 2). I have 4 more paintings in progress. Trees #3 and #6 continue the DNA/heredity tree theme of Tree of Life 1. 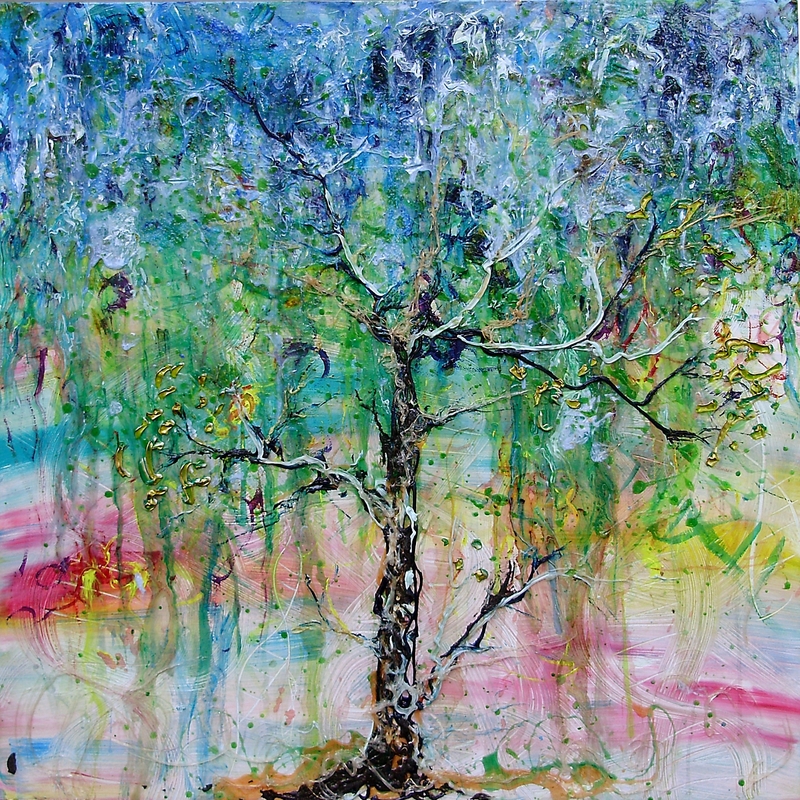 Tree of Life 4 is an atmospheric allusion to the role of trees (and plants in general) in maintaining the breathable chemistry of our atmosphere. 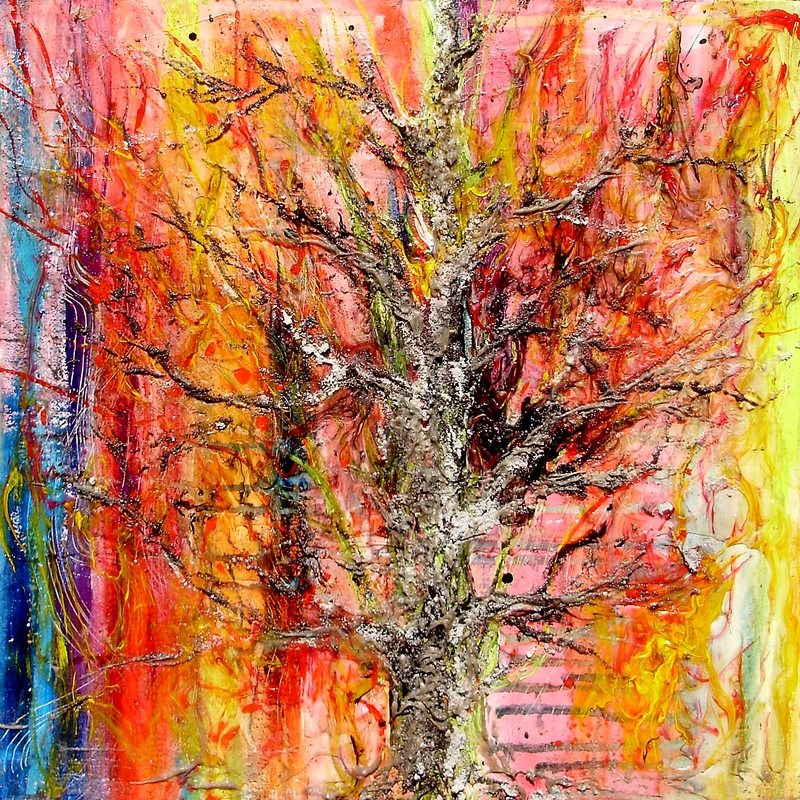 Tree of Life 5 is subtitled “wildfire”, and is a comment on our loss of forested land due to drought and fire. I posted an earlier WIP for Trees 3,4, and 5. I’ve popped in some side by side images so you can look for changes. There is a slideshow which includes detail closeups if you scroll down. Tree of Life 6 is also progressing nicely. 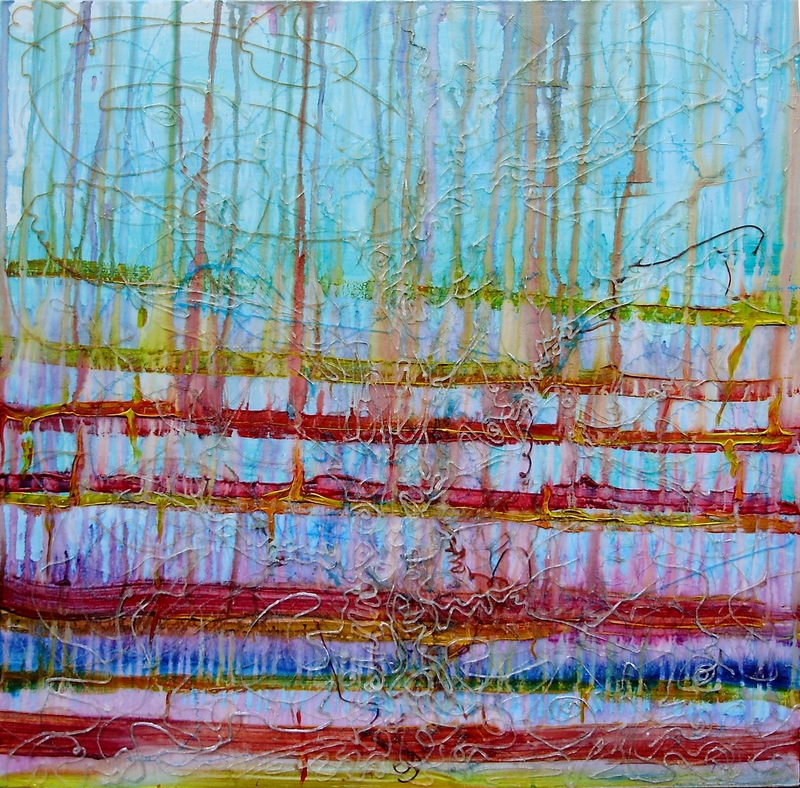 I work on a number of paintings in parallel because of the long time required to dry each layer. They are beautiful. 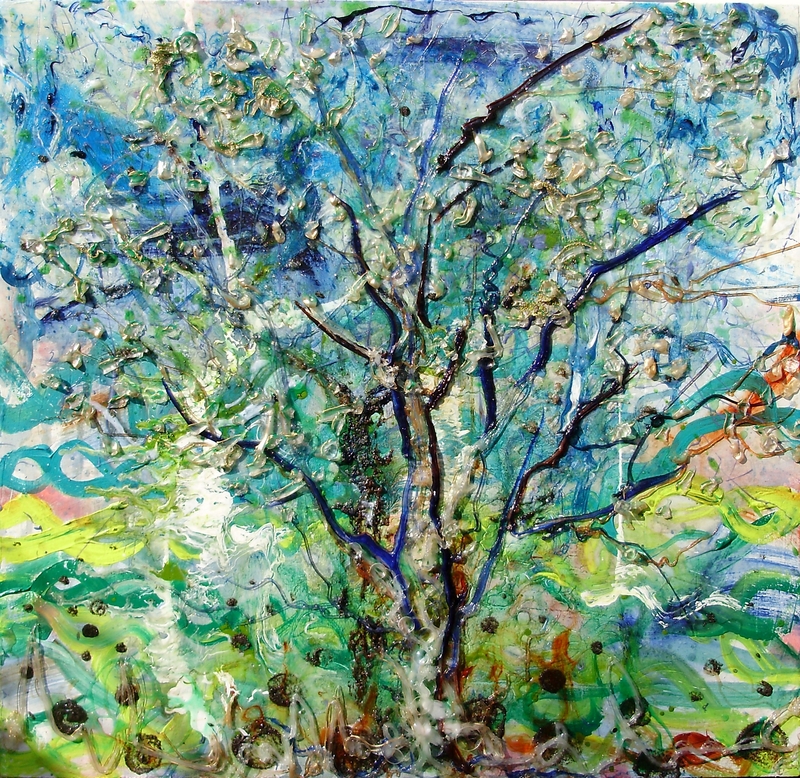 I am a scientist mathematician with an artistic side I am trying to liberate… I could look at your trees for ages. If I could afford one I would want it at least 1.5m x 1.5m or bigger! 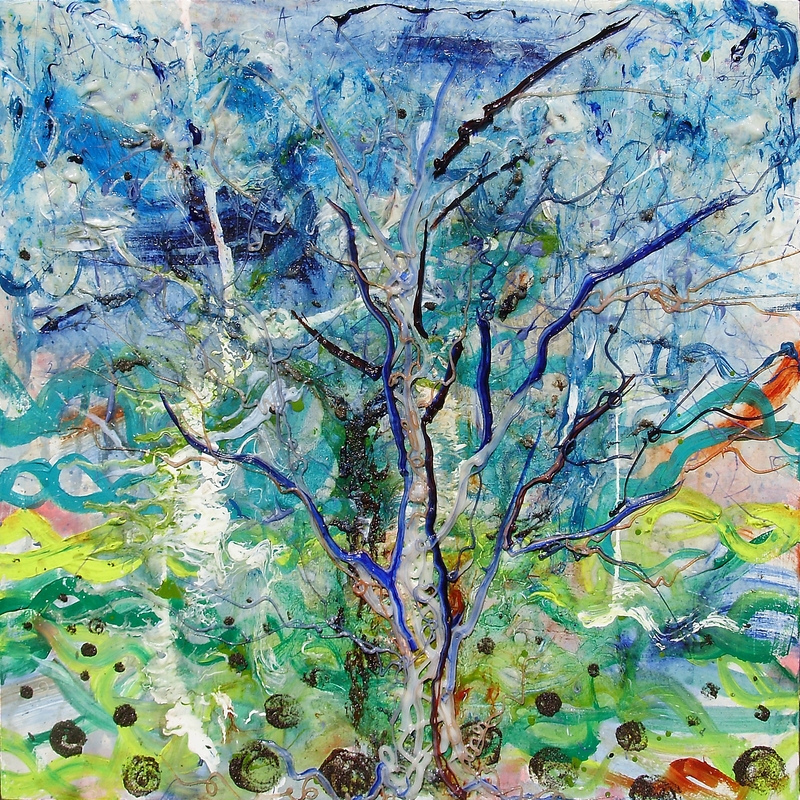 Thanks Barbara, This is my current project, painting 10 – 20 of these trees to explore the thematic/symbolic ideas where tree forms are used and to also explore different media. As far as liberating an artistic side, the key for me was just being willing to make a lot of bad paintings the first year or two. That’s how you learn and it gets better. Lol, sounds like me all right. I’m trying my hand at jewellery making and I seem to be learning much more about how NOT to do things & what doesn’t work, than what does…. But I am keeping all my efforts, maybe progress will show in time! Maybe I should label them with dates?